Samsung just announced that it will host some sort of event on October 11 to celebrate the arrival of a new device. The company that just released the Galaxy Note 9 has more to show off…what? The invite posted to their press site doesn’t mention a location, so this could just be an online announcement. It mentions the event or device being “4x fun” and that the new device is “bringing more ways to express yourself than ever before.” The word “capture” is also there. Are we talking about a camera of some sort? New mid-range phones? I have no idea. I don’t think we’re quite ready for the foldable Galaxy phone. That’s supposed to be coming at Samsung’s Developer Conference in November. Welcoming guesses in the comments! For those keeping track, we were already expecting the LG V40 on October 3, Pixel 3 on October 9, and (more than likely) the OnePlus 6T on October 17. 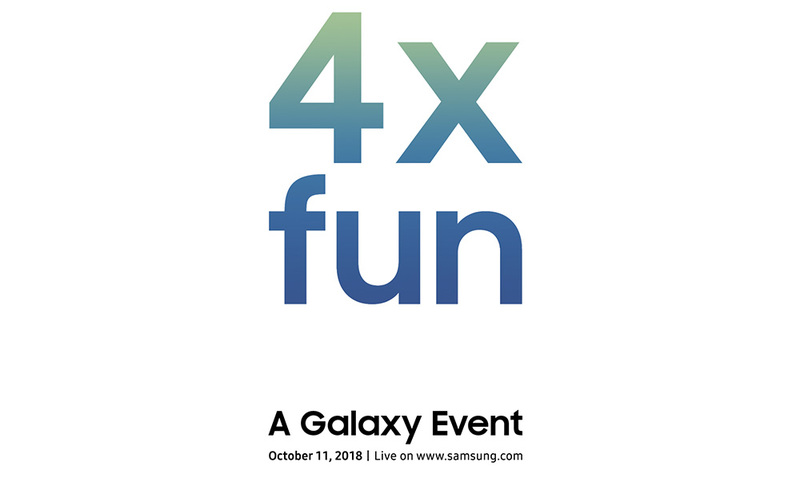 Now a new Galaxy device on October 11 too? Fun month. We've Got a Google Pixel 3 Teaser!